Gaze upon the lake that gives this region its name, an impressive body of water that resembles an inland sea, and the Saguenay River which flows through a spectacular fjord. Take in the sheer volume of freshwater in this region, teeming with riverfront communities that offer a vibrant cultural life and year-round adventure tourism. Let yourself go in this vast—and fascinating—territory! 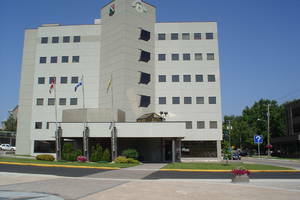 Saguenay, the region’s biggest city, is 210 km from Québec City (Route 175) and 335 km from Trois-Rivières (Route 155). There’s also a rail link from Montréal. The Saguenay−Lac-Saint-Jean region boasts over 700 km (435 mi.) of cycling route, allowing families, touring cyclists and performance cyclists to have fun from one end of the region to the other. This bike route includes the famous Véloroute des Bleuets, which circles Lac Saint-Jean and offers 256 km (160 mi.) of easy paths, crosses 15 municipalities and gives access to many activities and accommodations. You will also want to taste all the gastronomic discoveries along the way! In Saguenay, the new Véloroute du Fjord-du-Saguenay is located on both sides of the fjord and requires a great deal of physical effort, so you need to be athletic. For those who want to skip a section, Navettes maritimes du Fjord offers a shuttle that can transport you from one shore to the other, even with your luggage! Cycling is really everywhere in the region! There are over 60 accommodation establishments certified Bienvenue Cyclistes! in the region. You’ll find campgrounds, B&Bs, hotels and more. Adventure tourism and nature are defining features of Saguenay–Lac‑Saint‑Jean, and the region boasts an impressive range of outdoor activities. One of the best ways to fully experience this vast playground is to visit its three national parks and its marine park. The Parc national de la Pointe‑Taillon offers miles of beach on the shores of Lac Saint‑Jean and a spectacular bike path. At Parc national des Monts‑Valin, you can take in a view of the entire region and, in winter, visit the Vallée des Fantômes—a stand of snow-laden evergreens that look eerily like ghosts! 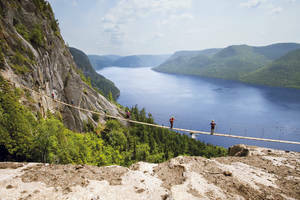 The Parc national du Fjord‑du‑Saguenay covers both shores of the fjord, and its new via ferrata offers an intoxicating experience. 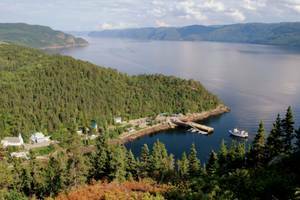 For its part, the Saguenay–St. Lawrence Marine Park offers you a unique opportunity to learn about the region’s awesome sea creatures. Visitors will be blown away by what Saguenay–Lac-Saint-Jean has to offer in the summer. From the lake to the fjord, let yourself be charmed by spectacular vistas and endless activities. 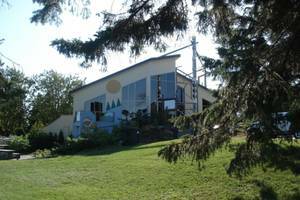 Lac Saint-Jean is a vacation destination on its own, whether you enjoy its 42 km (26 mi.) of beaches or explore it by sailing on its waters, by tasting local products, or by taking part in the fun activities that you can find all around this immense aquatic playground. The Fjord du Saguenay is not to be outdone. From the picturesque villages where taking your time is a must, to the urban energy of the city of Saguenay, you’ll find a host of ideas for exploring the hidden treasures of the fjord in your own way. Together, our three national parks and marine park total more than 1,800 km2 (1,118 sq. mi.) of protected area, which enables us to fully appreciate and preserve this model of nature’s generosity. The Fjord du Saguenay is overflowing with delightful hidden treasures to discover at a tranquil pace. Onboard a Zodiac or silent sea kayak, wind your way along the mystical fjord, with its plunging escarpments. The breathtaking scenery and sheer immensity will awe you at every turn. With Navettes maritimes du Fjord and their shuttle boat, visitors and cyclists can discover all sorts of artisanal products in the shops, partake in a variety of activities and dine at local restaurants in the picturesque villages along the fjord’s length, where it’s even possible to spend the night. From shore to shore and from Saguenay to Tadoussac, exploring one of the world’s longest fjords offers an endless unfolding of surprises. The Fjord du Saguenay reaches depths of 272 m (892 ft.) under water, soars to 457 m (1,500 ft.) at its highest point and totals 100 km (62 mi.) in length. Winter transforms Saguenay–Lac‑Saint‑Jean into a snowy paradise with a bounty of tourist activities. One of the classics is to go snowshoeing through the Vallée des Fantômes (valley of ghosts) in the Parc national des Monts-Valin, where the snow-laden trees look like other-worldly creatures. The region also has 3,300 km (2,050 mi.) of snowmobile trails whose conditions are excellent right up to spring. For another singularly unforgettable experience, nothing beats ice fishing on the fjord in the comfort of a cabin. And then there’s the Village sur glace de Roberval—a festive site built right on the frozen lake, complete with a skating rink! If all this isn’t enough, the region also has Nordic spas, dogsledding excursions and ski resorts to keep you enthralled and entertained. The Vallée de Fantômes receives six metres (20 ft.) of snow per winter, and the snow season is 22 weeks long in Saguenay–Lac‑Saint‑Jean, one of the longest winters anywhere. 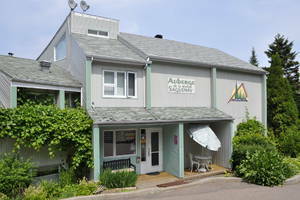 Countless made-in-Québec delights to discover!